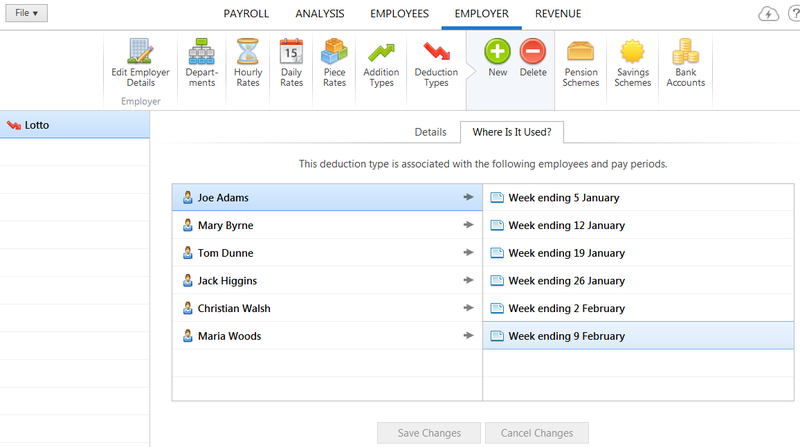 1) To add a new Deduction Type – select Deduction Types on the menu toolbar, followed by Add New Deduction Type. Enter a name for your deduction and select which deductions are to be applied, according to Revenue ruling. If desired, enter a default amount for the deduction and its default repetition. Click Save.